As most savvy entrepreneurs know, one of the few online “make-money-while-you-surf” outfits that isn’t a scam is SwagBucks. This company allows web denizens to earn cash in the form of gift certificates and discounts by perusing various pages and giving brands valuable marketing information. If you want to make real money from Swagbucks.com, here are fifteen tips to maximize your profits. For starters, you’ll get 50 SB just by installing the extension on your browser. In addition, the add-on will allow you to earn points as you search and even notify you of rewards based on the site that you’re currently viewing. The extension is set up to provide alerts to Swagbucks users regarding various incentives like Swag Codes and limited-time opportunities. One of the best things about Swagbucks is that they’ll pay you to consume content that you would have consumed otherwise for free. When you watch videos on Swagbucks, you’ll earn money after every video if you perform a simple action like commenting on it. Run Swagbucks.com – TV in the background while you’re going about your daily schedule and pay a little attention periodically to cash in. Oftentimes, you’ll have to spend virtual money to make virtual money by earning Swagbucks. 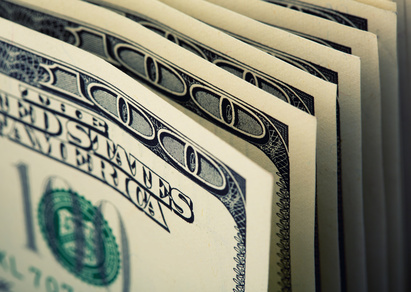 Paid offers generally feature a 50% return on your investment. If you have to spend 500 SB on a paid offer, you can often get up to 800 SB at the end of the day. The key is researching offers carefully and zeroing in on the best ROI (“return on investment”). 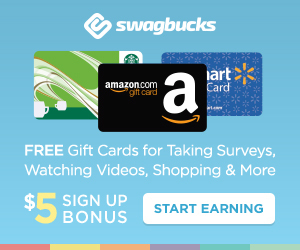 Whether you’re a fan of iOS or Android, you can make a bunch of money with the Swagbucks apps. Install them on your phone of choice and kill downtime while earning SB points at the same time. It’s easy to watch videos, fill out surveys and more on your mobile handset if you have a few minutes or hours to burn. If you buy anything online, Swagbucks can cut back on your expenses and even make you money in the process. Every dollar that you spend with Swagbucks Shopping will net you up to 7% cash back depending on the vendor that you patronize. The Swagbucks that you earn shopping on the web even count towards your Daily Goal Meter. Buying Amazon gift cards is one of the most popular ways for Swagbucks users to claim rewards since they’re basically as good as cash. If you opt for $5 gift cards from Amazon, you’ll have to spend 500 SB. You’ll get a better return if you opt for the $25 gift cards since they only cost 2,200 SB. One of the easiest ways to earn Swagbucks over time is by inviting friends, family and colleagues to join. You’ll receive 10% of whatever your referrals earn as long as they’re members. All you have to do is visit the Swagbucks homepage and click on the “Refer & Earn” button to send out invites to your contacts list. Like many online rewards companies, Swagbucks is constantly rolling out new incentives. Staying abreast of these changes is a lot easier if you check the official blog for announcements. Pouncing on new opportunities as they arise will greatly increase your earnings. The Swagbucks blog boasts tons of tips and tricks for getting the most from the service. The Daily Goal is an integral part of the Swagbucks ecosystem that can make a big difference in your earnings potential. Getting started with Daily Goals is as easy as logging into your Swagbucks account and clicking the “Activate” button at the top of the page. The longer you complete the Daily Goal, the more bonuses you’ll earn. For most consumers, groceries account for a significant portion of their monthly spending. The great thing about Swagbucks is that they offer tons of coupons on groceries that will actually add to your SB wallet when you use them. If you buy food at major vendors like Walmart on a regular basis, this tactic can yield serious dividends over time. Everyone has a collection of sites that they browse on a daily basis. You can earn plenty of bonus points by using Swagbucks to search those sites for results. Just be sure to switch up the search keywords that you use to peruse your favorite sites for content to avoid having Swagbucks cancel your account for suspicious automated behavior. If you’re the type of web surfer that likes to watch random videos and consume trending content, nCrave can be a goldmine. Click on the “Dicover” drop-down menu and go to the “Activities” button to take advantage of nCrave opportunities. All you have to do is watch a video or read an article and provide feedback to earn SBs. As great as the Swagbucks blog can be, it’s no match for the official social media accounts when it comes to real-time information that can earn you tons of cash. Be sure to follow Swagbucks on Twitter and Facebook for the latest news regarding lucrative offers. You’ll regularly receive alerts related to great Swag Codes that are time-sensitive. Swapping stories and strategies with like-minded hustlers is a great way to maximize Swagbucks profits. As such, the Swagbucks community page on Reddit is required reading for hungry online entrepreneurs that want to develop an edge. Make sure to visit the Swagbucks subreddit at least a few times a week to stay on top of the latest developments. While you might not think that surveys are worth your time, you can make decent money if you approach them intelligently. The key to earning hundreds of Swagbucks per survey is finding the right ones. Be sure to flesh out your profile with as many details as possible to ensure that you get surveys that pay well. Join Today ! While Swagbucks won’t make you a millionaire, it’s a reliable source of revenue that won’t take up much of your time or effort. The average user can make or save thousands per year via the diverse menu of rewards that Swagbucks offers. Take the time to figure out the system and you’ll be richly rewarded.